For the first time in 40 years, the federal government could weaken a little-known but important law encouraging bank lending, services and investments in underserved communities: the Community Reinvestment Act. Advocates like The Greenlining Institute do not expect changes proposed by the Trump administration will bode well for communities of color, and cities and mayors across the country are rising to support a strengthened CRA. With the passage of a CRA resolution on February 5, Oakland became the second city in California and one of dozens of cities in the nation calling for the preservation of the CRA’s mission: requiring banks to meet the credit needs of low- and moderate-income communities, and those traditionally excluded by our financial system. Advocates and cities like Oakland hope these resolutions send a clear message to the Trump administration that the CRA has done much good, and that enforcement needs to be strengthened, not weakened. In Oakland — a city where over half of the population and entrepreneurs are people of color — it is encouraging to see the City publicly express an expectation of equitable access to banking for all its constituents. The Greenlining Institute commends the leadership of At-Large Oakland Councilmember Rebecca Kaplan for introducing a resolution backing the Community Reinvestment Act at this critical time. The CRA is a landmark law of the Civil Rights era passed in 1977 as a response to redlining, the public and private practice of denying financial services and products to people of color. While discrimination in lending remains a problem, because of the CRA, banks have invested an estimated $2 trillion into economic development efforts, including small business loans, mortgages, affordable housing developments, and the like. For more background, you can read my earlier post on the Community Reinvestment Act and possible attempts to weaken it. What can you do to support CRA? 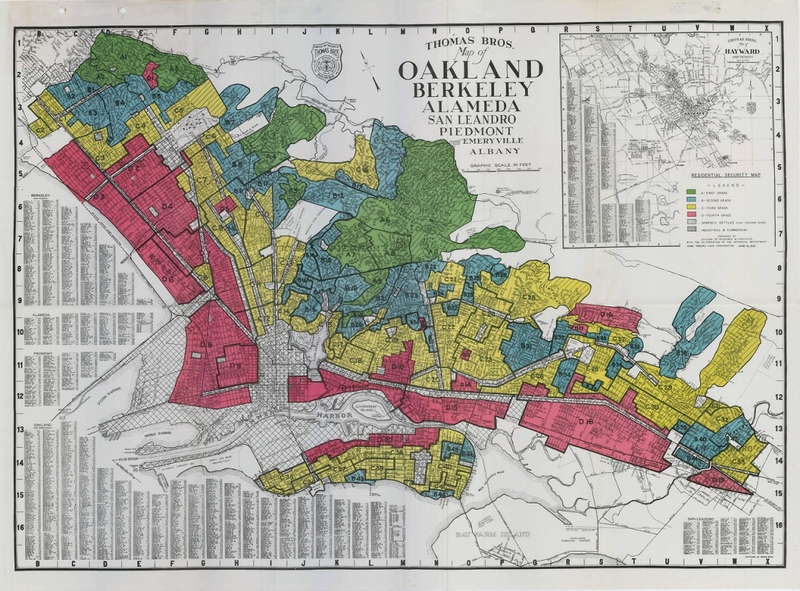 The legacy of redlining is still entrenched in communities of color, and the flow of capital that funds corrective action is at risk. Currently, federal financial regulators are reviewing comments to an Advanced Notice of Proposed Rulemaking, a first formal step in revising CRA rules. The public comment period closed last year, and any proposed new rules after this review process will open a second comment period. Please subscribe to our email list and follow me on Twitter to be updated on ways to comment and engage as the CRA review process proceeds. Also, encourage other cities across California to pass similar resolutions! Sharon Velasquez is Greenlining’s Senior Economic Equity Manager. Follow her on Twitter.